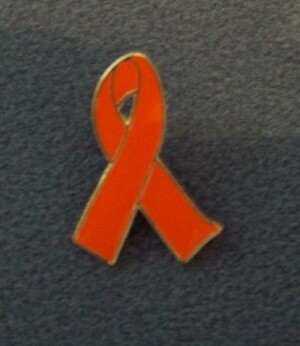 This bright Orange Ribbon Pin will help raise awareness for all of us who MS in our lives. 14kt gold plated with military back. We do not ship to addresses outside of the USA.